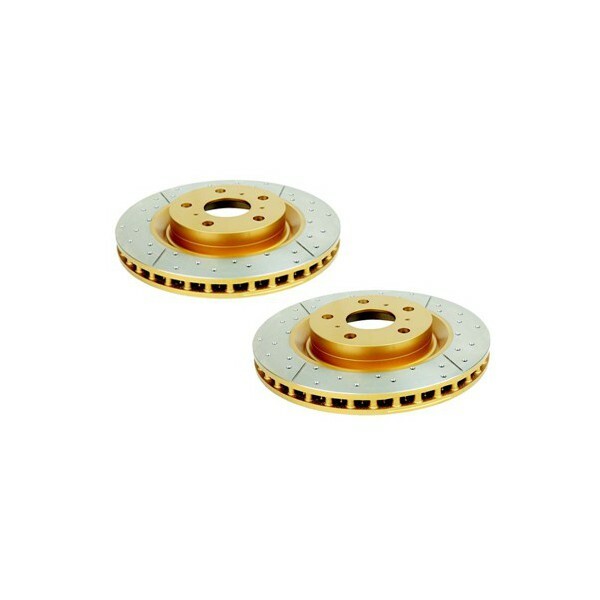 DBA's entry level enhanced performance rotors, offering improved braking straight out of the box. Available in standard, slotted, and cross-drilled variants. Designed for normal street driving conditions. Patented 'Kangaroo Paw' ventilation design available on most popular DBA Street Series Rotors. Ask your supplier for availability. Non-directional cross-drilled and slotted design. Gold paint provides better corrosion protection. 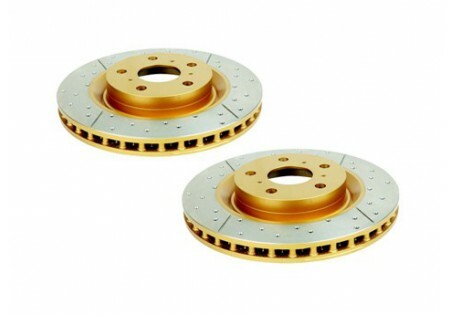 These rotors perform well in wet conditions and safely during an emergency braking situation. The drilling and slotting provides an efficient means of dispersing water and friction gases. Looks great behind open-alloy wheels.